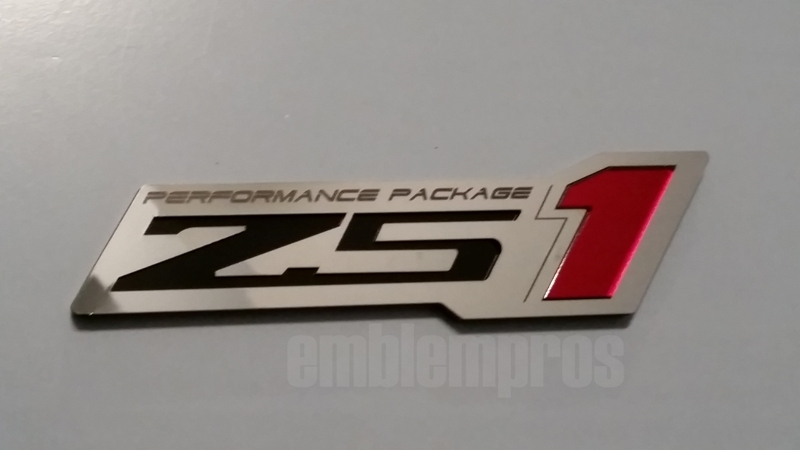 Z51 'ZR1' STYLE STAINLESS STEEL & ACRYLIC EMBLEM, for your Corvette with the Z51 Performance / Suspension Package. Made from premium mirror polished 304 Stainless Steel and UV rated Acrylic. 3M automotive emblem tape preapplied for easy installation. You have your choice of color for the "1". Size 1.3 x 5.4" apprx. This emblem features "Performance Package" etching as seen in the photos above. ​If you have any questions or would like a modification of what you see here, please email us at sales@emblempros.com and we'll do all we can to make you the part you want. *Includes 1 Z51 "ZR1" style emblem.